German logistics group Deutsche Post DHL confirmed its annual forecasts Tuesday, showing confidence although first-quarter profits slipped in the midst of a package boom spurred by online shopping. Net profits lost 5.2 percent year-on-year between January and March, at 600 million euros, the group said, adding that the shrinkage was down to the introduction of new accounting rules. Operating, or underlying profit added 2.3 percent, reaching 905 million euros, while revenues slid 0.9 percent, reaching 14.7 billion. 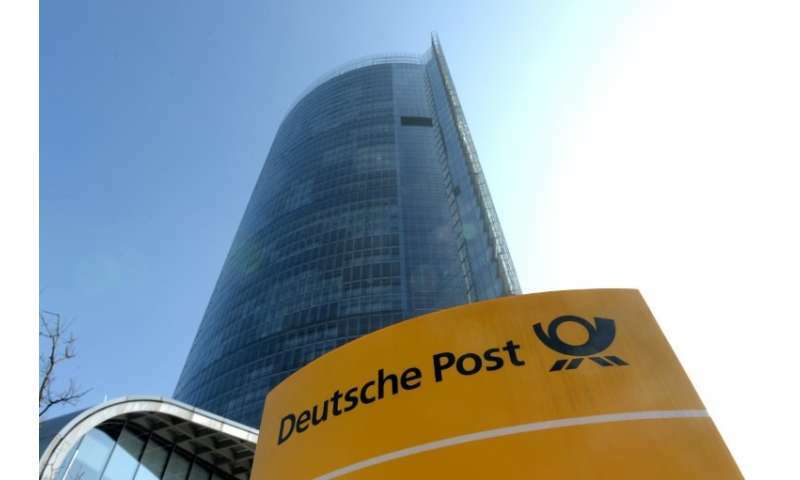 Deutsche Post noted that operating profits had fallen in its packages and ecommerce division, saying investments in items like electric delivery vans and international logistics improvements to keep pace with the boom in demand had eaten into the result. Meanwhile unfavourable exchange rates undermined income from business outside the eurozone. "Overall we had a good start into the year, although we have a lot of work ahead of us for the remainder of 2018," chief executive Frank Appel said. Ecommerce would remain "the most important growth driver for our businesses," he added, keeping the group "confident" of reaching its full-year targets. In 2018, Deutsche Post forecasts a 10-percent increase in operating profit to around 4.15 billion euros, on track for its longer-term goal to exceed 5.0 billion by 2020.